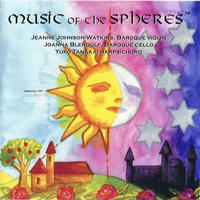 Music of the Spheres: Small baroque chamber ensemble. 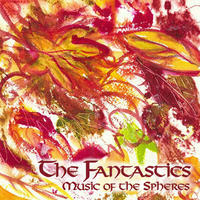 Music of the Spheres, formed in 2000, is a member of Early Music America's Touring Artists Roster and has performed across the United States and abroad, including mainstage concerts at the Bloomington and Berkeley Early Music Festivals, and performances on the San Francisco Early Music Society and Indianapolis Early Music series. 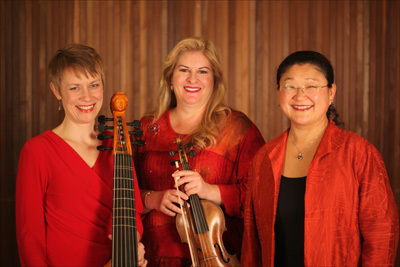 The group made its European debut at the 2006 Tage Alter Musik Festival in Regensburg, Germany, and was featured in the European chamber music magazine Ensemble. In 2007, they performed on The Frick Collection Series in New York, with a New York Times review and a WNYC broadcast of their concert and interview. 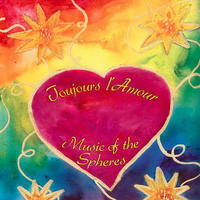 Music of the Spheres has been broadcast on "Harmonia" and "Performance Today." We believe that music exists to captivate the imagination, stir memories, and evoke intensely personal emotions in both listener and performer alike, and we desire to bring a wider audience to classical music through performances which focus on these aspects. We enjoy giving lively, fun and informative performances, and are available for concerts, series, festivals, recordings and master classes. 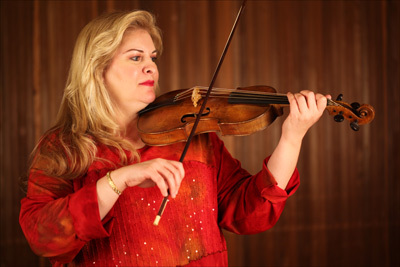 Jeanne Johnson is a soloist and chamber musician on both Baroque and modern violin. She is a winner of Early Music America's 2002 Professional Development Award for soloists. Her performances on numerous series, tours, festivals and recordings in the United States and abroad have resulted in National Public Radio, Canadian Broadcasting Corporation and local broadcasts. Jeanne has played with many groups including Philharmonia Baroque Orchestra, Tafelmusik, Portland Baroque Orchestra, Apollo's Fire, Boston Baroque, Bloomington Baroque, the Carmel Bach Festival, the Bach Aria Festival, the Atlanta Symphony Orchestra, and the Berkeley and Bloomington Early Music Festivals. She has served as concertmaster of the Atlanta Baroque Orchestra and as orchestra director, violin teacher and chamber music coach at Clayton College and State University in Atlanta. After starting violin at age 5, Jeanne made her solo debut with orchestra at 11 and won first place in the Milwaukee Symphony Youth Soloist Competition at 16. She studied with James Buswell and Stanley Ritchie, receiving her bachelor's degree in performance with honors from Indiana University and her master's degree with distinction in performance and academics from New England Conservatory. Aside from early and classical music, Jeanne's interests include folk, crossover and world music. In addition to playing violin, Jeanne is also a writer, editor, painter and classical radio announcer. 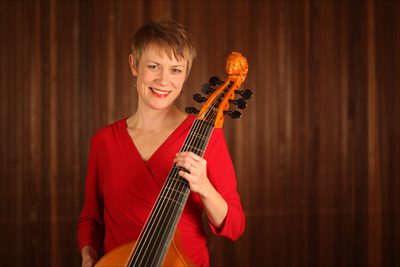 Joanna Blendulf has diverse interests in music, performing a wide range of repertoire on both cello and viola da gamba. She has received performance degrees from both the Cleveland Institute of Music and Indiana University, where she studied with Stanley Ritchie, Tsuyoshi Tsutsumi and Alan Harris. In 1998, Joanna was awarded the prestigious Performer's Certificate from Indiana University for outstanding performance in baroque cello. Spending much of her time in transit, she is currently performing with the Portland Baroque Orchestra, the New York Collegium, Apollo's Fire, American Bach Soloists, Musica Angelica and Camerata Pacifica Baroque (Santa Barbara). Joanna is also an active chamber musician, performing with the all-female ensemble Bimbetta as well as Mirable and Florilegia, all based in the Bay Area where she resides. She was named honorable mention in the 2000 EMA/Dorian competition for her recording of the Jean Zewalt Triemer cello sonatas. Joanna Blendulf also performs with 크레이지슬롯 사이트Ensemble Mirable. Yuko Tanaka, harpsichordist, is active as a soloist and an ensemble player. She has performed at the Carmel Bach Festival, Berkeley Festival and Exhibition, Bloomington Early Music Festival, and in broadcast events for National Public Radio and the Canadian Broadcasting Corporation. She performs with numerous ensembles including Musica Pacifica, El Mundo, Ensemble 6-4-2, American Bach Soloists, Moscow Chamber Orchestra, and The Women's Philharmonic. 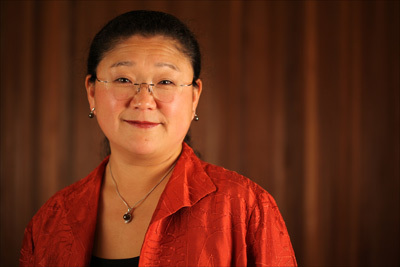 Yuko received a doctorate in early music from Stanford University and has studied with Margaret Fabrizio at Stanford, Gustav Leonhardt in Amsterdam, and Ketil Haugsand in Oslo, Norway. She has recorded for Koch International and Delos International. 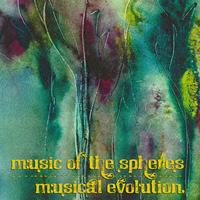 Music of the Spheres lives in California, USA. Tagged as: Classical, Chamber Music, Baroque, Instrumental, Cello, Composer: Domenico Gabrielli, Composer: Georg Muffat, Composer: George Frideric Handel, Composer: Giovanni Antonio Pandolfi Mealli, Harpsichord, Composer: Heinrich Ignaz Franz Biber von Bibern, Composer: Johann Heinrich Schmelzer, Composer: Johann Sebastian Bach.